It was 1966 when singer-trumpeter GG Shinn split from the Boogie Kings. But his legacy with Louisiana’s longest-running rock ‘n’ roll band is so strong that his spirit never really left. His short-but-indelible stint, during which time he fueled a power-packed vocal tandem with Jerry Lacroix, is still considered the group’s apex. And that’s saying something, given the cavalcade of great singers who’ve done tours of duty within the BK ranks, like Clint West, Tommy McLain, Lil’ Alfred Babino, Duane Yates, Allen Wayne, and Gregg Martinez, to name just a few. Shinn and his monstrous vocal chops make their welcome return to this year’s 13th annual Ponderosa Stomp. In its heyday the twin Shinn-Lacroix vocal attack drew admiration even from megastars. “The Righteous Brothers really were in awe of GG and Jerry. 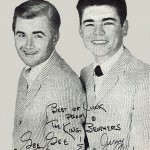 Bill [Medley] and Bobby [Hatfield] have made many public comments about the talent of these two guys,” Theall recalled. Dubbing themselves “the King Brothers,” Shinn and Lacroix teamed up on numerous duets like “You’ve Lost That Lovin’ Feeling” and “Let It Be Me.” It was their unbridled artistry and soul that lifted the Boogie Kings – as tight and musically proficient as the musicians themselves were – from mere cover band to something loftier. And once a Boogie King, always a Boogie King, as evidenced by Shinn’s reappearances with the group during modern-day reunion shows. But who is GG Shinn? Quite frankly, his full story has yet to be told. 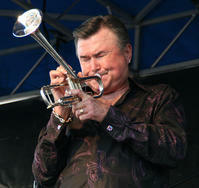 But Shinn was born Aug. 25, 1939, and hails from Franklin, La., where in 1956 he formed his first band, the Flat Tops. By 1963 he was recruited into the Boogie Kings, which had been founded in 1955 in Eunice, La., by Doug Ardoin, Bert Miller, and Harris Miller. The band played everywhere around Louisiana and east Texas, gaining in notoriety particularly at the Bamboo Club in Lake Charles and the Big Oaks club in Vinton near the Texas border, the latter club drawing a young Janis Joplin as a patron. 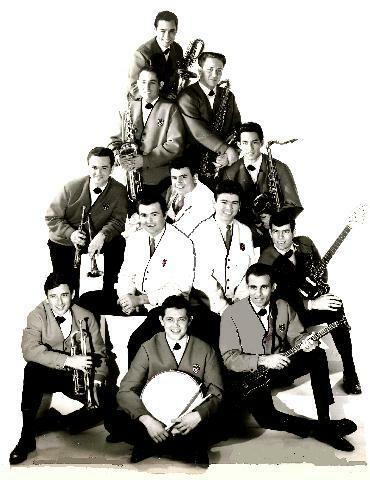 The Boogie Kings at their peak in 1965, with Jerry LaCroix and GG Shinn. A chance encounter with Sam Montel of Baton Rouge, who had been the force behind Dale and Grace of “I’m Leaving It Up to You” and “Stop and Think It Over,” led to a recording session at Cosimo Matassa’s studio in New Orleans. The resulting album, “Sam Montel Presents the Boogie Kings,” includes the key tracks that cemented Shinn’s place in the annals of Louisiana rhythm and blues. Rich with Shinn’s jaw-dropping vocal gymnastics, those songs include “The Crying Man,” “Fever,” “Funny How Times Slips Away,” “Harlem Shuffle,” and “Devil of a Girl” (the latter penned by Morgan City rockabilly swamp-popper Vince Anthony Guzzetta). By May 1966, the Boogie Kings scored an extended gig in Lake Tahoe, Nev., and according to Theall, “this was to be the last major appearance of the GG and Jerry team.” In 2010, Shinn told the Houston Chronicle: “I left the band because I wanted a small band that could travel better. That big band, it was just too expensive to move around.” Shinn formed a group called the Roller Coasters, which released the infamous “Putt-Putt” album, whose cover featured a trumpet-blowing, suit-wearing Shinn fronting a seven-piece ensemble (including two drum kits) set up on a miniature golf course. In 1966, he put the Roller Coasters together and Lacroix joined him about a year later. The band was together for “two or three years,” Shinn recalled. Shinn and Lacroix went separate ways. Shinn joined a jazz-rock fusion band called Chase, which produced two albums in the early 1970s. Shinn joined Chase in the middle of the recording session for the second album, “Ennea,” which was released in 1972. G.G. Shinn had replaced the lead vocalist in the Chase band. Their vocalist had split when the song “Get It On” went all the way to No. 1. Sound familiar? I knew Bill Chase personally. He was a brilliant trumpet player and a great person. I went to the first rehearsal of the band Chase. I remember it well, because Bill forgot his mouthpiece, and I loaned him mine. GG did the vocals on Chase’s second album. It was a masterpiece of an album, but it did not go anywhere. Shortly after the second album was released, Bill Chase was killed in a plane crash, and the world lost a great trumpet player and a wonderful man. Rest in peace, my brother. GG’s big opportunity was delayed by an act of fate. But he was lucky not to be in the plane with Bill. 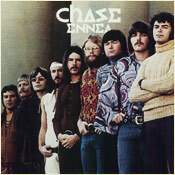 Although the first Chase album sold nearly 400,000 copies, “Ennea” was not as well-received by the public. One likely reason was a shift away from trumpet sections. A single, “So Many People,” received some radio play, but the side-two-filling “Ennea” suite, with its tightly chorded jazz arrangements and lyrics based on Greek mythology, was less radio-friendly. Shinn toured with Chase, even traveling to Japan, and YouTube videos of that tour capture Shinn’s overwhelming vocal power for posterity. Though Bill Chase is dead, the group’s members still perform together at reunion gigs. In 2000, Shinn released a great album on Gary Edwards’ Sound of New Orleans label, titled “You Can Never Keep a Good Man Down.” Shinn is joined by an all-star cast of Crescent City R&B masters, including drummer Harry Ravain (a former latter-day Boogie King), pianist Al Farrell, guitarist Allen Poche, and tenor saxist Jerry Jumonville. Standout tracks include the title song as well as a version of “Two Steps From the Blues” that’s a dead ringer for Bobby “Blue” Bland, and a scorching rendition of Danny White’s “Kiss Tomorrow Goodbye” (with blazing guitar work from Poche). If you’re ever in Alexandria, GG’s nightclub is the hottest spot in town, though one gets the impression that most patrons have little to no idea of the owner’s musical pedigree. Just make sure the legend is performing on the night you go. The club also brings in acts like Cajun accordionist Wayne Toups, soul icon Percy Sledge, swamp-pop singers like Warren Storm and TK Hulin, and country and cover bands, though the focus of the mostly under-40 crowd seems to be on dancing to the DJ’s tunes. While you’re there, pick up a copy of GG’s “Christmas with GG Shinn” CD, in which Shinn breathes brand-new soul into those sometimes-tired holiday standards. You can also catch GG singing around the state and in Texas at festivals and clubs, where he often team ups with TK Hulin to re-create the electric duets of his “King Brothers” days. With Boogie Kings bandleader Ned Theall having died in 2010 after a final Boogie Kings CD that included GG on several tracks, that band’s future is up in the air, though original founder Doug Ardoin is now fronting a new lineup. What’s not up in the air is that GG Shinn remains one of Louisiana’s most powerful singers. If you have any doubts about what blue-eyed soul is all about, catch him at this year’s Ponderosa Stomp. GG will school you.